Rockets make surprising move, bring in the troubled former second overall pick. Andrew Goudelock was understandable. This one was a little more surprising. 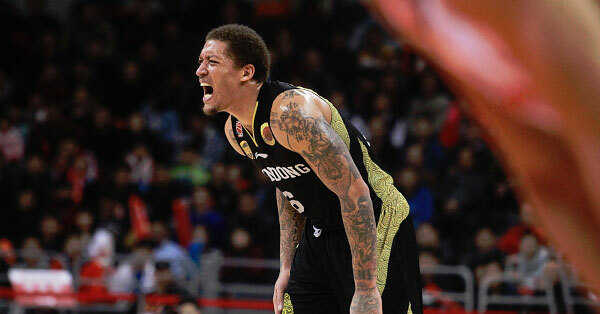 The Rockets are set to sign former 2nd overall pick Michael Beasley, according to an ESPN report. Beasley will sign for the remainder of the season with the Rockets holding a team option for next year. The 6-foot-9 power forward was recently named the MVP of the Chinese League, averaging 31.9 points, 13.2 rebounds, 3.8 assists and 1.3 blocks a night. The Rockets would not comment on the additions since they are not finalized, but coach J.B. Bickerstaff said what the team is looking for. The Rockets desperately need help at the power forward spot, despite having plenty of guys on the roster at the position, but Beasley has struggled to find his niche in the NBA. An All-World scorer in college, Beasley went number two overall to the Miami Heat in the 2008 Draft after averaging 26.2 points, 12.4 rebounds and hitting 37.9% from three his one season at Kansas State. Beasley is talented, but has run into trouble during his career. In 2013, he was arrested on suspicion of marijuana possession. A sexual assault case against him in 2014 was eventually dropped. Defense is not his strong suit at all, so he’ll fit right in. What is interesting about Beasley is he can score and has shown improved range, both qualities that the Rockets lack at the position right now. He shot just 34.3% from deep over his seven-year NBA career with Miami, Minnesota and Phoenix, but he has shown increased efficiency from three in China (as to be expected). Beasley scored 34 points in a game late last season while with the Heat. Here’s a highlight video of a 48-point night in China, showing his play and the kind of competition he faced. At this point, what can it hurt? The Rockets have had poor chemistry on the floor this season and it can’t get too much worse. In this move, they get a cheap look at whether or not Beasley can help them moving forward at a position that has killed them all season.